Thrush products have been a staple of hot rodders for over 40 years as these perfomance mufflers bring together the power and sound favored by true enthusiasts. Pit Stop USA is The Online High Performance Superstore! We feature Chevrolet Monte Carlo Exhaust Systems at low everyday prices. Street Performance USA is The Online High Performance Superstore! We feature Oldsmobile Exhaust Systems at low everyday prices. Pit Stop USA has all of your Street Performance needs including Pontiac Firebird (3rd Gen) Exhaust. Pit Stop USA is The Online High Performance Superstore! 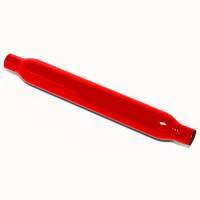 We feature Thrush Glasspack Mufflers at low everyday prices. Pit Stop USA is The Online High Performance Superstore! 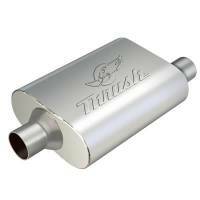 We feature Hush Thrush Super Turbo Mufflers at low everyday prices. Pit Stop USA is The Online High Performance Superstore! 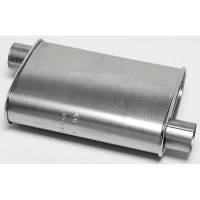 We feature Thrush Super Turbo Mufflers at low everyday prices. Pit Stop USA is The Online High Performance Superstore! 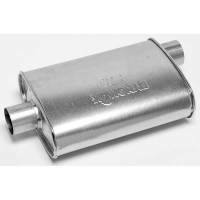 We feature Thrush Turbo Mufflers at low everyday prices. Pit Stop USA is The Online High Performance Superstore! 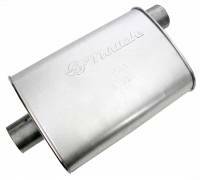 We feature Thrush Welded Mufflers at low everyday prices. Thrush products have been a staple of hot rodders for over 40 years as these perfomance mufflers bring together the power and sound favored by true enthusiasts. Thrush products strike as much of an emotional resonance with todays fan as the sound itself. Hot rodding is a growing industry today, yet its roots trace back to the Post-War 1940s. Returning GIs had seen all kinds of modified vehicles in World War II and were anxious to create their own dream car. The conceptstart with a 1920s car, lower it, cram in a colossal engine, add bigger wheels and tires and remove any extra weight including fenders, running boards, ornaments, even the windshield. The resulta serious, sought-after street car. With money to spend, mechanical and metalworking skills gained in the military, hundreds of hot rodders and fans trekked to the dry lakes region in southern California to spur the hot rodding phenomenon. Across the country street racing caught on, and with it the practice by many hot rodders of gathering at local hangouts and cruising up and down avenues at night, showing off their carsand themselves. The National Hot Rod Association (NHRA), founded in 1951, along with other industry organizations, led in fostering civic-mindedness and cooperation between hot rodders and police, and by creating organized straight-line coursescalled drag stripsto replace clandestine street racing. The 1960s saw the advent of muscle cars when car manufacturers offered plain-looking automobiles stuffed with huge-displacement engines like the Chevy 396, 409 and 427; the Ford 390 and 427; and the Chrysler 440 and 426 hemi, so-nicknamed for its racing-engineered hemispherical combustion chambers. Later in the decade came smaller pony cars such as Mustangs and Camaros. Today, the hot rodding phenomenon continues to flourish. The National Hot Rod Association has turned drag racing into a nationwide spectator sport generating millions of dollars annually from events, television coverage, and advertising. With 80,000 members and more than 35,000 licensed competitors, NHRA is a thriving leader in the world of motorsports (source: nhra.com). Thrush is proud to serve hot rodding enthusiasts with the power they demand, the sound they love and the dream in their hearts.